Worried about giving your employees the best coverage? Our dental, vision, life and disability plans are among the best you can buy, but they go even further in delivering extraordinary value when combined with Anthem medical to create Anthem Whole Health Connection®. We’re making better health care real, improving outcomes, and lowering costs. That’s the Anthem difference. That’s why we’re committed to making health care work better, improving employee health and job performance, and lowering your costs. Coordinating care across products has a direct impact on health and costs. The key to lower costs is health care that works harder and better for you. When doctors know more about their patients they can connect them with the right care, sooner. It’s a smarter, more connected way of looking at population health and our way forward. Simplified, streamlined administration. This is what it looks like when everything works together. Rest easy. Anthem will put a smile on your employees’ faces with dental and vision networks that are among the very largest in the nation, including tens of thousands of neighborhood dentists and more leading national and online retail vision providers than any other carrier. Our pharmacy, dental, vision, life, disability, and voluntary supplemental plans are among the best in the business on their own. Connect them to an Anthem health plan to tap into the power of a different type of integration. One that not only connects products, but also technology, tools, information and people to improve employee health and productivity. We’re creating tailored solutions that lower costs, improve experiences and unlock exponential value to all. That’s a different kind of care that standalone plans just can’t provide. That’s Anthem Whole Health Connection®. Looking to save even more? 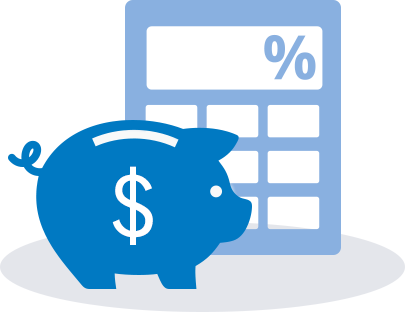 There are lots of ways to save, including employee-paid (voluntary) options, and package savings. or talk to your producer. Enter your state and the number of your employees, and see just how much you can save. The Benefits Guide is your online guide to navigating the health care landscape. The 2018 National Health Benefits Statistics & Trends Report brings the latest outlook on health and specialty benefits, including national health and spending and employer benefit program designs. Our latest research shows employers an innovative way to enhance their wellness and clinical program performance. Life and Disability products underwritten by Anthem Life Insurance Company, an independent licensee of the Blue Cross and Blue Shield Association. ANTHEM is a registered trademark of Anthem Insurance Companies, Inc. The Blue Cross and Blue Shield names and symbols are registered marks of the Blue Cross and Blue Shield Association. Anthem Blue Cross and Blue Shield is the trade name of: In Colorado: Rocky Mountain Hospital and Medical Service, Inc. HMO products underwritten by HMO Colorado, Inc. In Connecticut: Anthem Health Plans, Inc. In Indiana: Anthem Insurance Companies, Inc. In Kentucky: Anthem Health Plans of Kentucky, Inc. In Maine: Anthem Health Plans of Maine, Inc. In Missouri (excluding 30 counties in the Kansas City area): RightCHOICE® Managed Care, Inc. (RIT), Healthy Alliance® Life Insurance Company (HALIC), and HMO Missouri, Inc. RIT and certain affiliates administer non-HMO benefits underwritten by HALIC and HMO benefits underwritten by HMO Missouri, Inc. RIT and certain affiliates only provide administrative services for self-funded plans and do not underwrite benefits. In Nevada: Rocky Mountain Hospital and Medical Service, Inc. HMO products underwritten by HMO Colorado, Inc., dba HMO Nevada. In New Hampshire: Anthem Health Plans of New Hampshire, Inc. HMO plans are administered by Anthem Health Plans of New Hampshire, Inc. and underwritten by Matthew Thornton Health Plan, Inc. In Ohio: Community Insurance Company. In Virginia: Anthem Health Plans of Virginia, Inc. trades as Anthem Blue Cross and Blue Shield in Virginia, and its service area is all of Virginia except for the City of Fairfax, the Town of Vienna, and the area east of State Route 123. In Wisconsin: Blue Cross Blue Shield of Wisconsin (BCBSWi), which underwrites or administers the PPO and indemnity policies; Compcare Health Services Insurance Corporation (Compcare), which underwrites or administers the HMO policies; and Compcare and BCBSWi collectively, which underwrite or administer the POS policies. Independent licensees of the Blue Cross and Blue Shield Association. ANTHEM is a registered trademark of Anthem Insurance Companies, Inc. The Blue Cross and Blue Shield names and symbols are registered marks of the Blue Cross and Blue Shield Association.